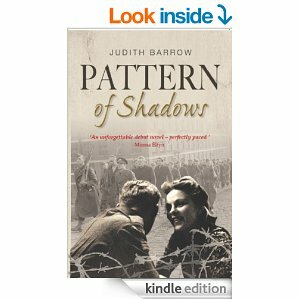 Pattern of Shadows is a truly wonderful book. Beautifully written this romantic yet heartbreaking love story flows at a perfect pace throughout. I started off thinking one thing only to find my preconceptions wrong as Barrow skilfully leads you through this tale of life at the end of WWII for one young woman, Mary, and her family. Barrow’s characters are fully rounded and very real and I quickly grew attached feeling empathy for them in the situations they faced throughout this satisfying story. Not wanting this one to end I was delighted to find that, though a complete story in itself, it is the first in a trilogy and I immediately bought the second part. The final instalment is on the way. I recommend this to anyone who enjoys well written and gripping storytelling by an excellent author. The all important purchase links!